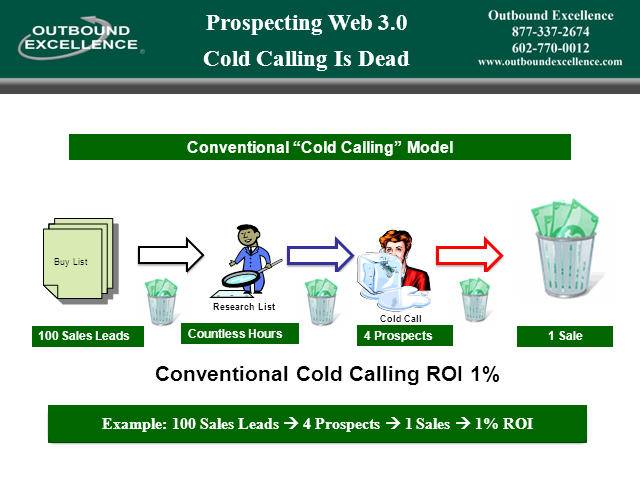 In the past two decades there has never been a more important time to leverage a Proven Scientific Approach to Developing Your Sales Growth Strategy then there is today. Selling has changed dramatically just over the past 2 years of our economic downturn, and most companies realize that they just can't achieve aggressive sales growth goals without a significant change to their existing sales strategy. For the past 12 years Outbound Excellence has specialized in Developing Sales Growth Strategies for companies through North America and Europe. We have specialized tools and guides, and proven sales growth processes that you can leverage to develop a 2011 Sales Growth Strategy that will allow you to Achieve and Maintain - Continuous Profitable Sales and Customer Growth Performance. Staying competitive in the market today is risky enough, don't take a risk when developing your 2011 Sales Growth Strategy. Take a proven approach and focus your strategic planning efforts on capturing new market share from your competitors. This webcast will show you how to Develop A Record Setting Sales Strategy for 2011. Don't Miss It!